@IrishRecruiter / Uncategorized / Jobs posted on the social media don’t attract applications. Why? Jobs posted on the social media don’t attract applications. Why? Social media sites are great for posting jobs. It’s free to blast your new jobs to all your contacts and followers. You can also schedule your updates at a different times a day to reach as many candidates as possible. You can find the best time of the day for your tweets, LinkedIn updates, Facebook posts and schedule the daily postings. The best part is that you can automate it all, and put on auto pilot to work for you, while you are asleep! Why jobs don’t get the ‘mileage’ in the social media? Here is a sample of a job post shared on LinkedIn. It got several hundred views within 5 days, posted in the network of some 5000 people. 10% of the network saw it. Here is a comparison with the truly ‘social’ update posted on LinkedIn. It was hand written, not a scheduled blog post. It’s posted to the 5000 contacts, and it got viewed by almost as many people in the first 5 days. 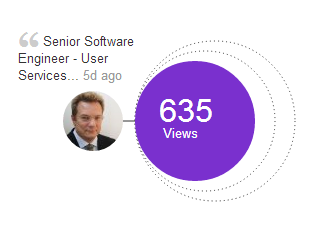 So why does the real human interaction on LinkedIn get 10 times more views than the job posting? Wasn’t this LinkedIn supposed to be a recruitment social network? 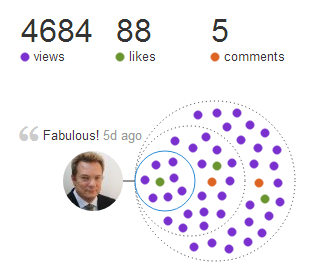 How do the Share and Like make a difference on LinkedIn? Every Share, Like and a Comment, reposts your original LinkedIn update. That it is the only (non paid) way your LinkedIn update gets shared to the people who you aren’t connected – the 2nd connection. When they share it again they share it to the people who are your 3rd connection. In this way, your original message gets seen by the people LinkedIn doesn’t let you connect (for free) at all. Jobs don’t get shared. This limits their reach to your direct contacts only. Ivan – really enjoyed your blog ‘How to get the recruiters attention in 6 seconds’ very informative for my job seekers. Have re-blogged it on our word press site. I really felt that the above blog on using social media was excellent and relative to today’s social media scene.